We know how it goes. You publish a new and interesting piece of content on Facebook and all of a sudden you have tons of comments and replies coming in. How do you keep track of them and, more importantly, how do you make sure you don’t miss a message? 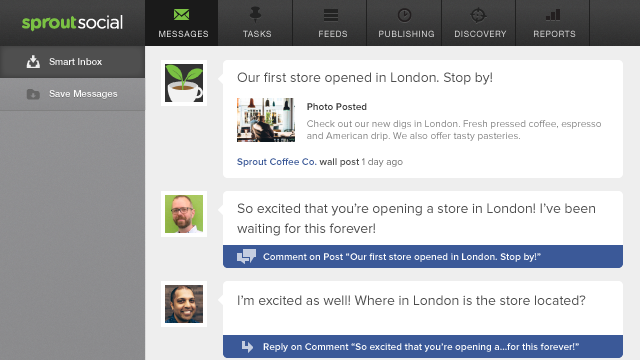 Now, you can view threaded conversations and reply to each comment on Facebook from within Sprout, making it easier to follow a given conversation and respond to comments individually and appropriately. 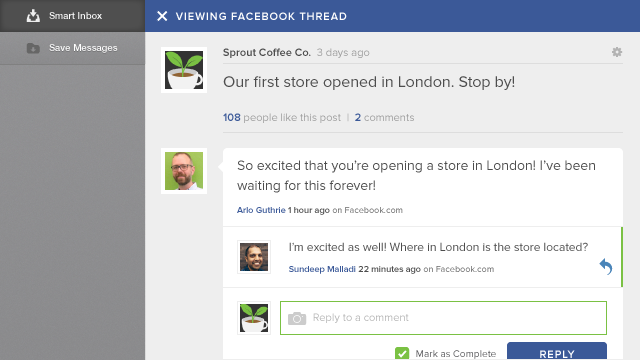 Threaded comments and replies in Sprout follow Facebook’s existing hierarchy. You can add new comments or reply to individual comments, but further replies to replies are not threaded — new ones just show up at the bottom. Think an image will go a long way in answering a customer’s question? Or just want to showcase your brand’s character a bit better with a timely meme or gif? Now you can! 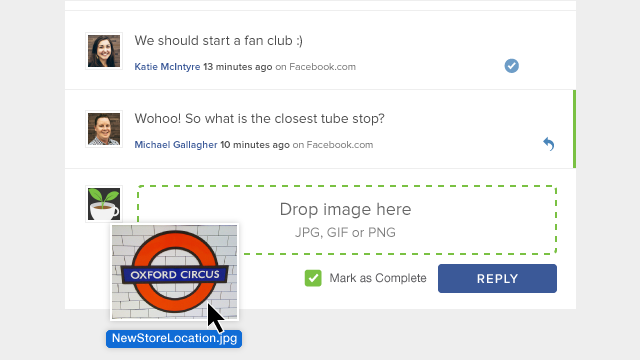 Just drag and drop an image or hit the camera icon to add a picture to your comment or reply. In addition to letting you add photos, we’re also now showing video, photo and link thumbnails from posts, comments and replies right in Sprout’s Inbox and Facebook conversation view. We encourage you to keep the conversations going and hope that these improvements help you further cultivate your audience on Facebook. As always, your feedback is welcome!